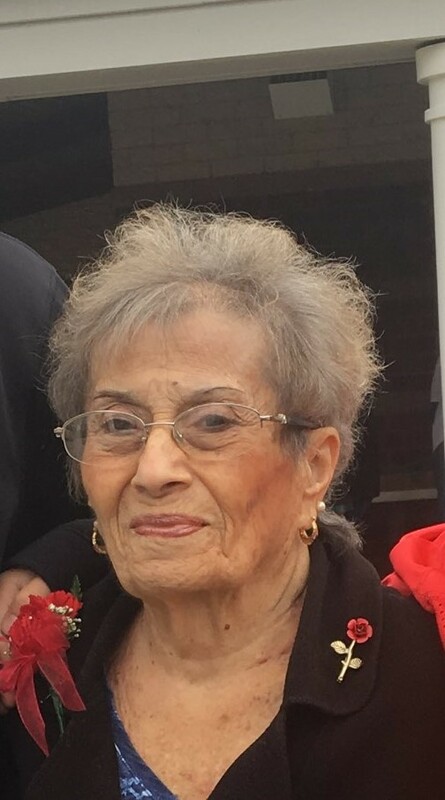 Theresa Bateman Obituary - Southampton, Pennsylvania | McGhee Funeral Home, Inc.
Theresa A. Bateman, of Upper Southampton, passed away peacefully surrounded by her loving family on Saturday, December 1, 2018. Theresa was the daughter of the late Carrie and Francisco Salvatico. She is survived by her beloved husband of 53 years, John E. Bateman, Sr; children, John E., Jr. (Joanne), Ann Marie Weston (Nick Jr.), and Anthony (Carrie); grandchildren, Nicole, Justin, Anthony, Jr., Morgan, Nicholas III, Alyssa, Samantha, Jonah; great-granddaughter, Gianna; and nephew, Joseph Salvatico. Terri was preceded in death by her brothers, Tony, Harry, Billy, George, Frank, and Joe and his sister, Emily. Terri was a wonderful caregiver. She loved cooking and baking, and spending time with her grandkids. She had a gift for touching peoples lives and making everyone she met feel special. She will be truly missed. Terri's family will receive relatives and friends on Thursday, December 6, 2018 from 10:30 to 12:30 p.m., at Our Lady of Good Counsel, 611 Knowles Ave. Southampton, PA 18966. A Mass of Christian Burial will be celebrated at 12:30 p.m. with Rev. Charles Noone. She will be laid to rest at Washington Crossing National Cemetery in Newtown, PA. In lieu of flowers, memorial contributions may be sent to Children's Hospital of Philadelphia, 3401 Civic Center Blvd. Philadelphia, PA 19104.